Did I ever show you my office Before and afters? It's been done for a while I just forgot to show y'all. Every time I see a cute office I want to slap myself real hard. Mine is such a mess and I just need some motivation to start. It definitely looks more efficient now. And cute which is even more important. Indeed. You are inspiring me to do mine. Like Sherry's mine is a pigsty. I'm always apologizing when client's come over. So embarrassing! This looks really great - and very easy to build! Can clearly see which is your side and which is your husband's. Really enjoyed this makeover! WOW!!!! so pulled together and gorgeous! That butcher block is such a great idea. Love that throw in the last picture..yum. LOVE this- totally hot and totally functional- love the colors! 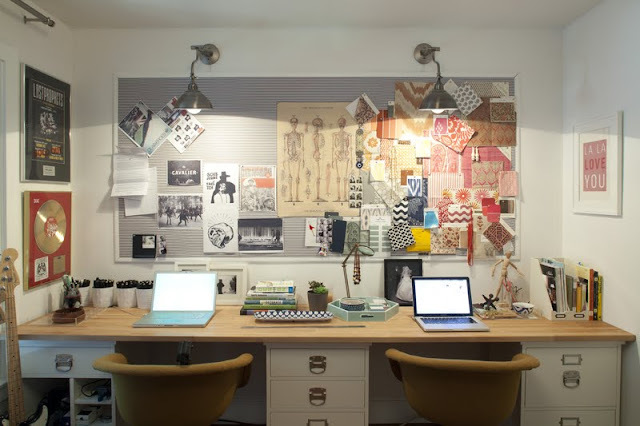 what a great space to work in & love your chairs!! Awesome office. Love the look of those Pottery Barn drawers with the wood top. And your cork board is totally fab. Such a creative space! Looks really good. The transformation is amazing. The end product definitely looks more chic! Great photos and a job well done! Wow! I love it! 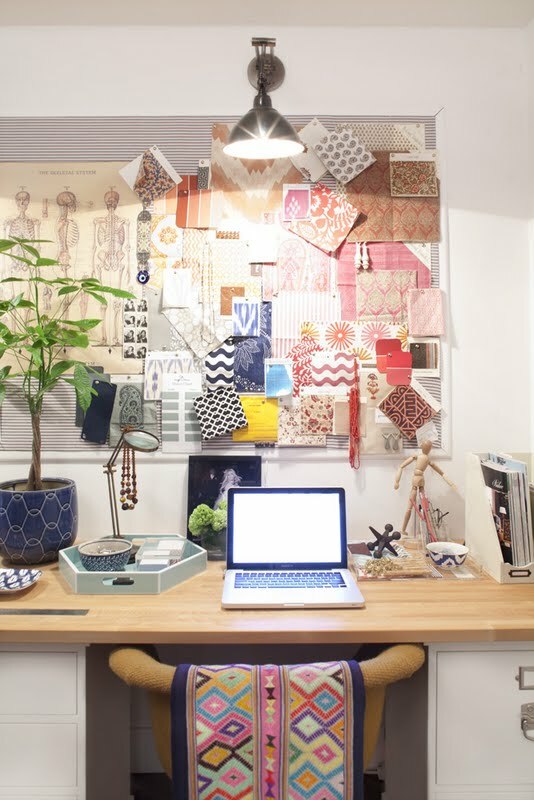 Wish I had an office period and if I did I would want it to look like that:) Love following your blog! Wow so chic. It turned out so beautiful and was so easy! 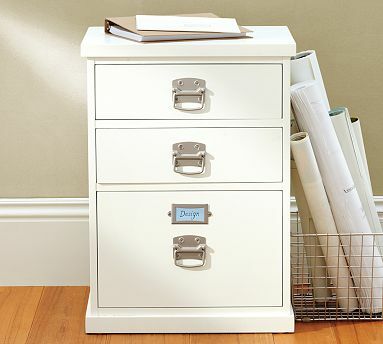 I have trying to talk by husband into the file drawers from Pottery Barn for some time. I love that throw in the last picture, it is beautiful! Love the light and the chairs!!! Stylish and utilitarian--love it. And there's even enough room for you and your hubby to work side-by-side. What red blooded American woman doesn't love a before and after pic? I ask you! The DIY desk is pretty great! I want to move into your house! WOW LADY! You are a superstar! It looks great! Your office looks better than my living room!! The throw in the last pic is fabulous!! Booyah - it looks fantastic and completely stylish! hi :) just found your blog-love it. just wondering where the black dresser with the gold handles is from...(from the before picture)? I love it!!! And awesome to have such a large workspace! I'm usually squatted down in the corner of my bedroom or kitchen! so jeal-ous. I'm currently spread across my dining room table, kitchen table, bed...must I go on. Ahhh, the serenity that is your office. I will close my eyes and use it as my happy place. I love it! I love how it looks more streamlined and it flows better. I simply adore natural wood with white, beautiful job! that is easy enough. now i just need a room. Hi everyone, Thanks for all the love.. The lighting is actually two table lamps/task lamps I turned into sconces...That's right I am a lunatic and took on a wiring project myself...I suceeded though and so far no fire. Hi - I'm not sure you'll even see this so far after the fact, but I absolutely LOVE this desk and want to replicate it exactly in my office. But - I'm having a little trouble figuring the dimensions - the longest countertop I see in Ikea is ~97" but surely the one you used is longer, you have 3 filing cabinets and plenty of chair/leg room underneath. How long is your countertop? Or maybe you used 2? Thanks so much - I really love this!! Where'd you get the fabulous throw/fabric on the back of the chair? LOVE IT! 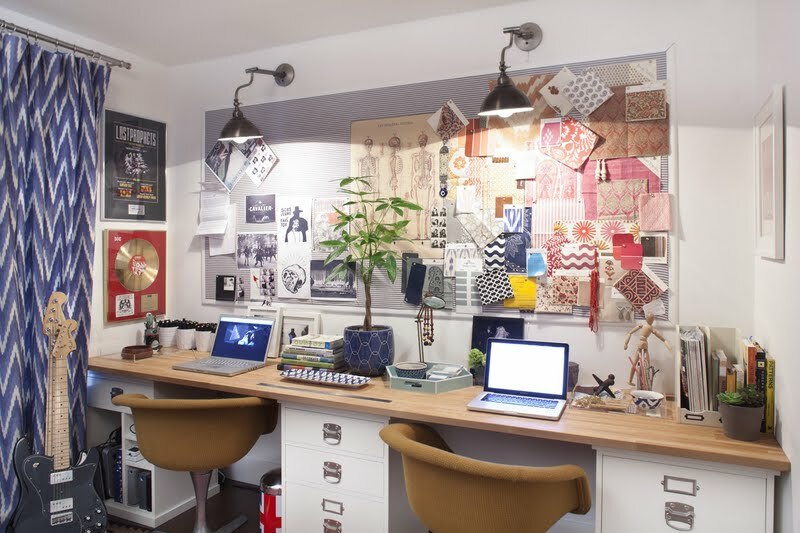 This is really inspirational interior design for office or home. An office renovation project should be viewed with excitement because it's a chance to give employees a great work environment while indulging the designer in you. Consult a remodeler that specialises in offices to see your dreams materialise. So the perfect choice of choosing right Office Interior Designersin Dallas is to look out their experience of designing corporate spaces and checking their portfolios of previous work. Above all, if you are managing some large and highly reputable company. Great design!! this was the best office interior design. I have seen so far.People will like to spend more time in this type of office than their home.Truly marvelous!! looking forward to see more blogs from you in future. Really nice post you made. After seeing this I tried to make my room decorative using flat sheet only. I love to read about the bedroom and office room decor, I'm sharing with you what I got there " A conflict : Flat Sheet Vs Fitted Sheet ". As a bedding seller, what Ideas do I have about what is a dust ruffle, Purpose of flat sheet I'm sharing my words on my blogs. If you like to read please read.